Dunton, A. Davidson and Claude Couture. "Biculturalism". The Canadian Encyclopedia, 14 January 2017, Historica Canada. https://www.thecanadianencyclopedia.ca/en/article/biculturalism. Accessed 18 April 2019. This neologistic term came into public consciousness with the appointment of the Royal Commission on Bilingualism and Biculturalism in 1963. On examining its terms of reference the commission could not find the word in a dictionary. This neologistic term came into public consciousness with the appointment of the Royal Commission on Bilingualism and Biculturalism in 1963. On examining its terms of reference the commission could not find the word in a dictionary. It knew, however, that "biculturalism" had been used as far back as 1929 when Graham Spry, in a speech to the Canadian Club of Québec, had spoken of the "bicultural character of the Canadian nation." The commission concluded that the term referred to the existence in Canada of 2 principal cultures - that associated with the English language and that associated with the French. Its function was to examine the state of each of the 2 cultures, and the opportunity for each to exist and flourish; and also the set of conditions that would enable members of the 2 cultures to co-operate effectively. Commission members did not think the term had an implication about individuals becoming bicultural, which seldom happens. They believed rather that an important factor would be whether both cultures are properly represented in common institutions and whether persons participating in these institutions have the opportunity to conserve and express their own culture. Members of the commission rejected the notion that culture was determined by ethnic descent. They considered current language and a sense of belonging to be much more important factors. They noted that Canadians whose ancestors came from countries other than the British Isles participated fully in the culture of English-speaking Canada, and that some whose forebears were not from France participated in the culture of French-speaking Canada. They also noted that some groups, bound by ties of common ethnic origin, desire to maintain and foster their particular cultural heritages, in most cases while also taking full part in the life of the Canadian society around them. The commission wrote extensively about these "cultural groups" and made recommendations about the assistance necessary for them to preserve their languages and to support their cultural activities. These observations gave rise to the federal government's statement about multiculturalism in 1971. 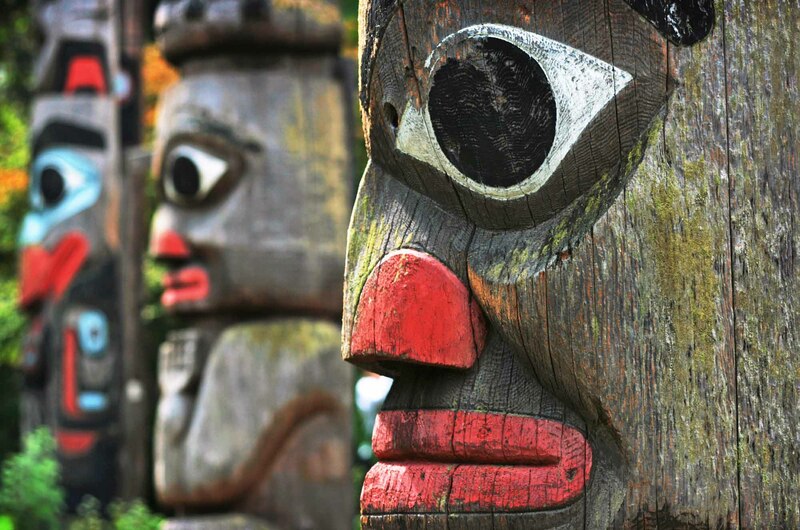 Though the term is recent, the concept of biculturalism goes back to the origins of modern Canada. After the Conquest of 1759-60, the British authorities in 1774 allowed French Canadians full use of their language and system of civil law, and gave freedom to the Roman Catholic Church, a mainstay of their culture. However, in 1839 Lord Durham held in his report (see Durham Report) that French Canadians should be assimilated through the joining of Upper and Lower Canada into a single entity. But French Canadians proved thoroughly resistant to assimilation and their politicians, such as LaFontaine, ensured that the government of the Province of Canada take account of their partnerships in the legislature. French was soon recognized by the legislature as an official language, and a structure for public education was established that in effect gave full protection for French education in Canada East. A distinct French Canadian culture continued to flourish, and under the Confederation arrangements of 1867, specifically in sections 93 and 133, the Province of Québec with its large francophone majority gained full control over education and other matters affecting culture. Basic support for French Canadian culture in that province was henceforth ensured. But by the 1960s it was plain that many French-speaking Canadians were dissatisfied with the place of their language within Québec and the position of Québec in Canada. Many thought that French culture was threatened by the dominance of English and English speakers in the industrial and commercial life of Québec; by the obstacles to francophones working in the federal administration; and by the plight of French-speaking minorities outside Québec, whose language and culture had nothing like the support enjoyed by the anglophone minority in Québec. Since the 1960s francophone cultural life in Québec has developed vigorously. There have been remarkable achievements in education, literature, theatre, television, radio, films and other fields. More and more francophones take their culture as well as their language to work in senior positions in business. Many francophones have some much-needed forms of support for their culture: French television and radio, newspapers and periodicals, and cultural organizations. However, Québec's 1977 language legislation, Bill 101, diminished the bicultural nature of that province by rendering it officially unilingual, although section 133 of the British North America Act still applies in Québec. Meanwhile, outside Québec, many groups of both anglophones and francophones now have access to public education in French. Even with the profound and complex diversity of Canadian society and the reality of multiculturalism, Canada does indeed have 2 principal cultures: that associated with the English language and that associated with the French. The two last censuses of the 1990s - in 1991 and in 1996 - revealed that more than 80% of Canadians living outside Québec use the English language at home while more than 80% of Canadians living in Québec use the French language at home. The two languages specifically targeted by the official languages law and the Canadian Charter of Rights are still politically and culturally dominant. But one should never forget that the English language, not only the French language, is heavily protected by federal institutions. There is a clear hierarchy of languages in Canada: English over French even in the sphere of official languages, and, outside Quebec, English over the other languages. Therefore, at the beginning of this century, it is still debated even inside the sphere of official bilingualism whether each - French or English - has fully equal opportunities for development. That debate culminated in the late 1980s and 1990s with the Meech Lake Accord and the Charlottetown Accord, both rejected, and after a second Referendum in Québec on the sovereignty issue, held in October 1994. With the possibility of a third referendum in Québec soon after the year 2000, the unsolved consequences of biculturalism is still a key question in Canadian unity. See also Bilingualism; Cultural Dualism; Laurendeau. Royal Commission on Bilingualism and Biculturalism, Report (prelim, 1965; final, 6 vols, 1967-70).